Get your swanky duds on. First Atomic Crash Party crashes Jami’s pad. Jami restored this mid century modern gem beautifully. Starting with vigorous persecution of vinyl siding, culminating with the adornment of period furnishings and impeccable style. This restoration benefited from original architect residing next-door. Occasionally, advice and encouragement were offered direct from the source. 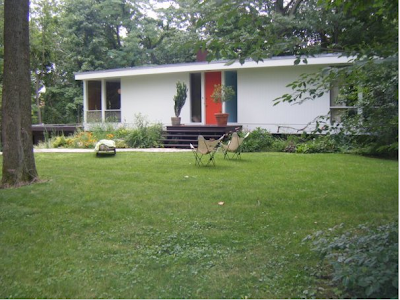 Architect in question is a personal favorite in Indianapolis’ Mid Century Modern scene, Mr. J. Parke Randall. Parke designed 13 homes in and around Indy from 1950 – 1975. He’s still rocking a passion for design and is digging the resurgence in appreciation for modern residential architecture. Here’s the clincher. Wait for it. Parke Randall will be crossing the street and joining us for the first ever Atomic Crash Party. 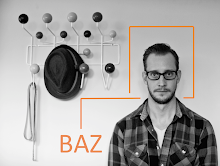 He tells a fascinating story recounting a conversation he had with Charles Eames about building steel framed homes. A must hear. Location: RSVP for address. Details below. Treats: Light refreshments will be served. Discretionary: Optional donation of $5.00 per person. • $2 to homeowner: supplements refreshment and prep cost. • $2 to Historic Landmarks Foundation: Offers support to help preserve Mid Century Modern Architecture throughout Indiana. • $1 to Atomic Indy: Small token to cover planning/management time. Please RSVP to Facebook invite. If you, and your other are coming please have both RSVP. If not on Facebook, please RSVP via email with a subject line of, "Atomic Crash Party #1" Let us know how many you’re bringing. 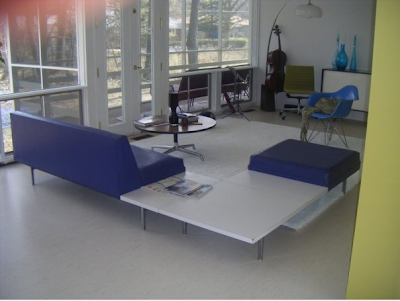 We’re trying to be an all-inclusive exclusive group, so if you know other Mid Century Modern enthusiasts, invite them. Please have them RSVP by one of the above methods. Laptop recently died with hard-drive-wiping force. Lost many unpublished renovation pics. 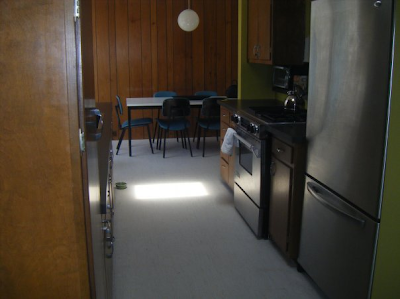 Most were “before” pics for impending renovation post. Cool if next post just displays “afters”? Wow - this home looks amazing! Wish I could go.